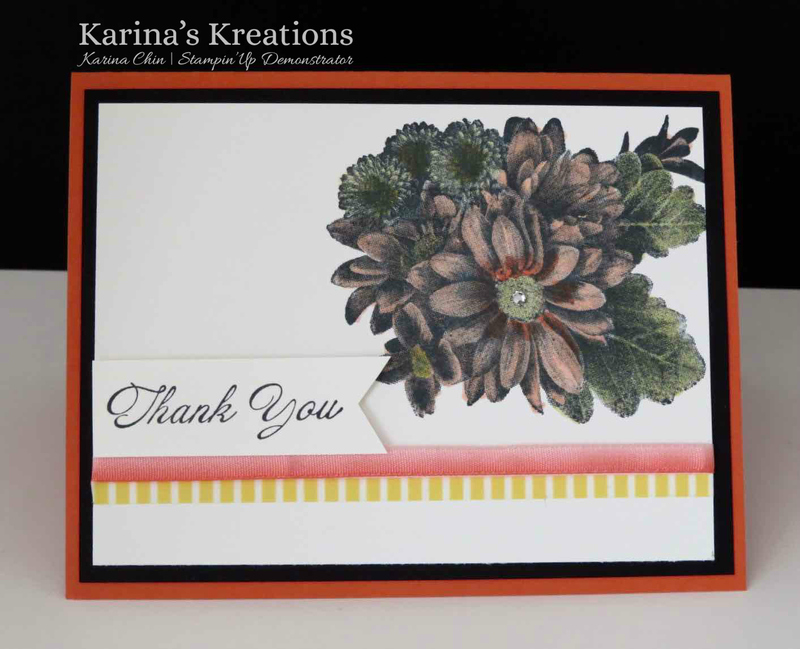 This beautiful card is made with the Heartfelt Blooms set stamp. You can get this stamp set for free with a $60 order starting Jan 3. The image was stamped with Black Memento ink on Whisper White card stock. The image was colored with Stampin' Blends.